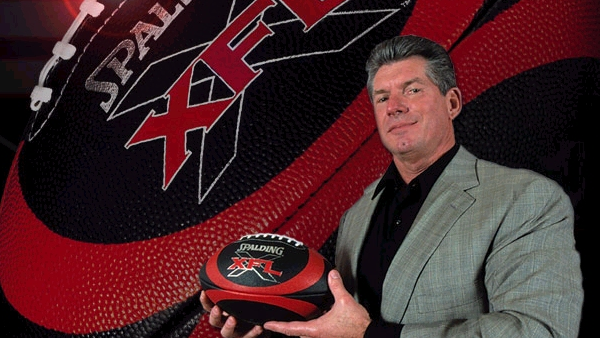 When independent journalist Brad Shephard first suggested that Vince was looking at reviving the XFL, the initial reaction was one of disbelief. Why, oh why, would McMahon seek to revive one of his career's biggest failures - a gargantuan money pit that saw him flush $35 million of his own wealth down the pan? Clearing this up was always going to be one of the call's biggest focal points, and fortunately, listeners didn't have to wait long. The very first caller asked why now was the right time. Vince kept it brief, citing that 70 million American football fans currently go seven months without their favourite sport during the NFL's annual off-season. He plans on satisfying their demand, and while he has "always wanted to bring [the XFL] back," now is the perfect opportunity. Vince went on to describe his intent to take advantage of revenue streams and distribution platforms that didn't exist during the XFL's previous run. He isn't concerned about over-saturation, claiming he'll offer "a better game than people are accustomed to, that will create its own demand," and will utilise all available broadcasting platforms in order to reach a global audience. Basically, the boss sees money-making potential. He wasn't wrong when he spoke of the benefits of utilising new streaming technologies, but will this be enough for the XFL to succeed where it failed in 2001? Time will tell.